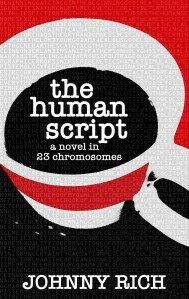 The Human Script and author Johnny Rich have been on a blog tour this week and it seems only fitting that the last stop should be back home on our own blog here at Red Button. Many thanks to the bloggers who have hosted us this week: Jo and Jaffa, Thom Cuell, Alix Long and Stephanie Cox. You can get links to the entire blog tour here. Now, to round things off − here’s Johnny! Q: What were your expectations of being published and how do they compare to the reality? Enter your email address to follow JohnnyRich.com and receive notifications of new posts by email.